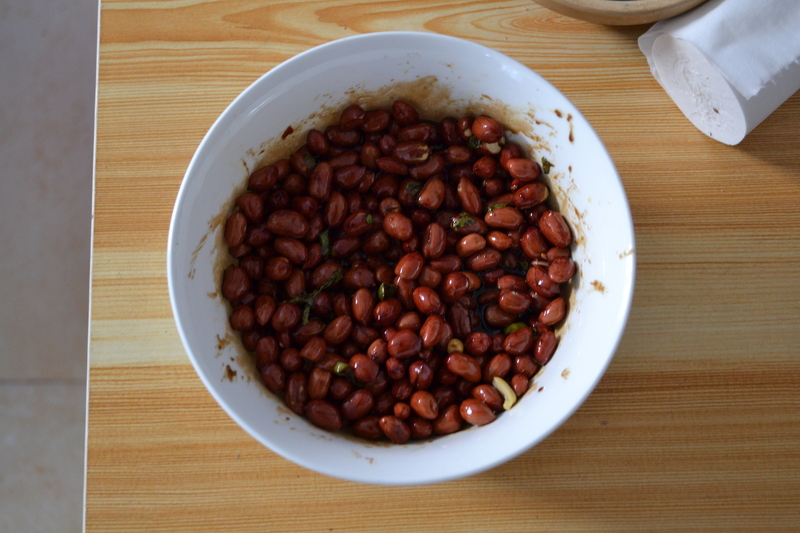 Peanuts in sweet vinegar, sometimes called old vinegar peanut (老醋花生, lǎo cù hua shēng). 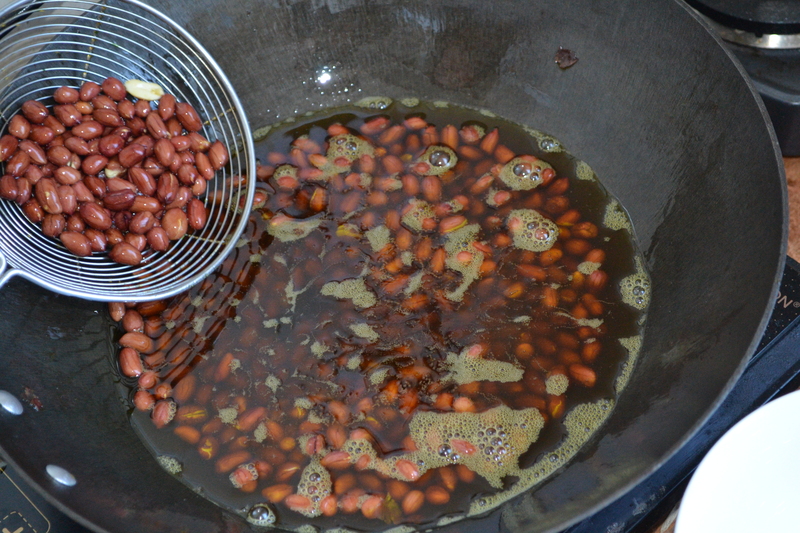 I first tried these sweet vinegar peanuts in a hotel in Shaanxi Province. They were so moreish I nearly finish the whole bowl. When I got back home I set about trying to make some myself. This may not be the exact method but it produces a similar results. 6 tablespoons black vinegar, or balsamic vinegar. Stir fry the peanuts for 10 – 15 minutes until they are browned and fragrant. Put aside in a bowl and leave to cool for 10 minutes. For the sauce, combine the coriander, vinegar, brown sugar, salt and ginger in a small saucepan and bring to a boil over high heat. Reduce the heat to medium-low and simmer, stirring occasionally. Reduce until the sauce is syrupy. Poor the sauce over the peanuts and stir to coat, serve at room temperature.